Kindle Only. No cables or charger included. This includes the tablet only! No cables are included. Powered by a fast dual-core processor, the Amazon Kindle Fire gives you an excellent performance that revolutionizes the way you browse the web. The 7-inch multi-touch display with IPS technology in the Amazon Kindle Fire provides you with an exceptional viewing experience. The anti-reflective treatment in the screen of this Amazon tablet PC does not strain your eyes. This Amazon 7-inch tablet comes with over 100,000 movies and TV shows to keep you entertained throughout. The Amazon Kindle Fire is beautifully designed with an intuitive interface and user-friendly features that will help you navigate swiftly between pages. This Amazon 7-inch tablet comes with an 8 GB space that lets you store all your media files conveniently. 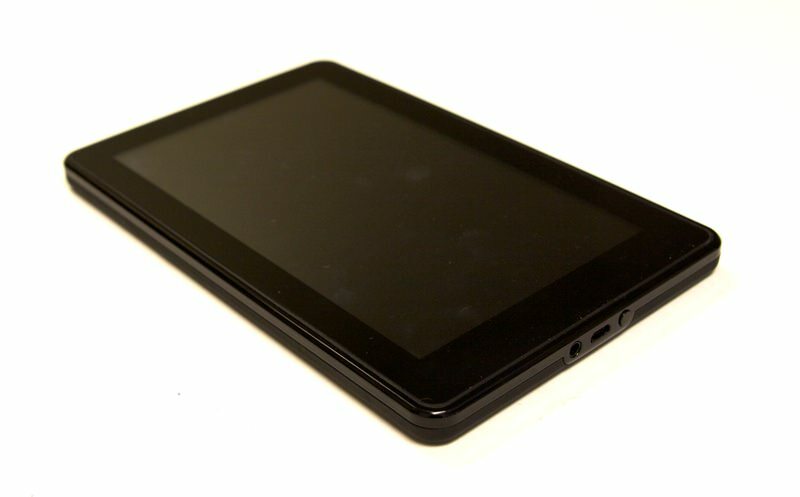 Enjoy the stunning high resolution display in this an Amazon tablet PC.